Cathedral Diamond Engagement Ring with Pave-Set Diamonds | Shane Co. 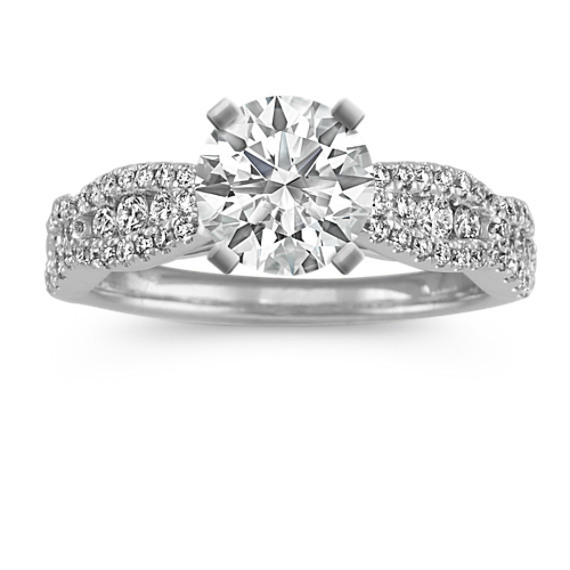 This exquisite cathedral engagement ring is crafted from quality 14 karat white gold. A stunning 72 round diamonds, at approximately .56 carat total weight, line the sides of this sparkling pavé-set 4.4mm wide ring. The hand-matched gemstones will beautifully accent the center gemstone of your choice.